Extended Backdoors are compatible with our Blink Controller! The GoPro BacPac Backdoor kit includes the Touch, Standard, and Skeleton BacPac Backdoors. 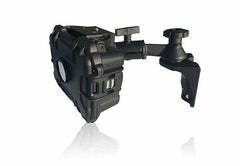 The extended backdoors attach to the GoPro Standard Housing, Skeleton Housing, or Blackout Housing. The backdoors replace the housing’s standard backdoor by simply snapping into place—no tools required. The these backdoors provide extra space for the Standard GoPro Housings to fit a GoPro with a LCD Touch BacPac™ or CamDo trigger board attached such as the Intervalometer, Motion Detector, or Wired Remote. The Skeleton BacPac Backdoor features open sides for optimal audio capture during low-speed activities. 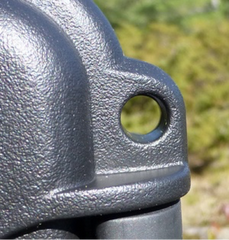 The holes in the Skeleton BacPac Backdoor allow for cables from the camera accessory to pass through the back of the housing. 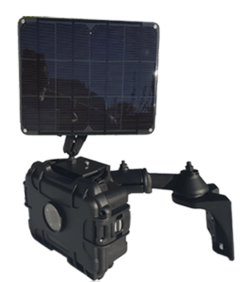 The backdoors provide extra space for the Standard GoPro Housings to fit a GoPro with a LCD Touch BacPac™ or CamDo trigger board such as the Intervalometer, Motion Detector, or Wired Remote. 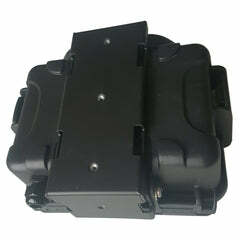 The holes in the Skeleton BacPac Backdoor allow for cables from the camera accessory to pass through the back of the housing. Standard BacPac Backdoor delivers waterproof protection to 131’ (40m) for your GoPro and camera accessory. The backdoors replace the housing’s standard backdoor by simply snapping into place. The GoPro BacPac Backdoor kit are designed to attach to the GoPro Standard Housing, Skeleton Housing, or Blackout Housing. What CamDo GoPro accessories fit inside the BacPac Backdoors? All of our low profile GoPro controller boards fit inside the extended backdoors. This includes the Intervalometer, Motion Detector, Video Adapter, Battery Eliminators, and Wired Remote, and Bullet TIme Cables. The Programmable Scheduler does not fit inside the BacPac Backdoors. Are the BacPac Backdoors waterproof? The Touch BacPac Backdoor enables you to use the touch-screen functionality of your LCD Touch BacPac™, and delivers waterproof protection to 10’ (3m). Standard BacPac Backdoor delivers waterproof protection to 131’ (40m). The Skeleton BacPac Backdoor is not waterproof. Skeleton BacPac Backdoor features open sides for optimal audio capture during low-speed activities. 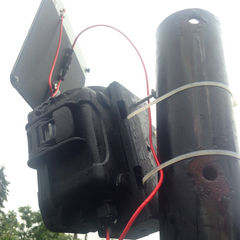 For use outdoors to increase water resistivity, tape can be used to seal the holes after passing the camera accessory cables through the slots. What housings fit the BacPac Backdoor kit? How is the Standard BacPac Backdoor different from the Touch BacPac Backdoor? The Standard BacPac Backdoor is built completely out of hard plastic, The Touch BacPac Backdoor has flexible plastic attached to the back window that allows you use the LCD BacPac touch screen while staying waterproof.